Each year a nationwide group of Archadeck offices come together to share their best practices, ideas, new products and to review outstanding leadership in design. This year, like others, the locally owned and operated Austin location performed very well. We are very proud to have scooped up on four of twelve design awards, plus a distinguished Customer Satisfaction Award which reconfirmed Austin’s place as the 2nd best producing Archadeck location in North America. 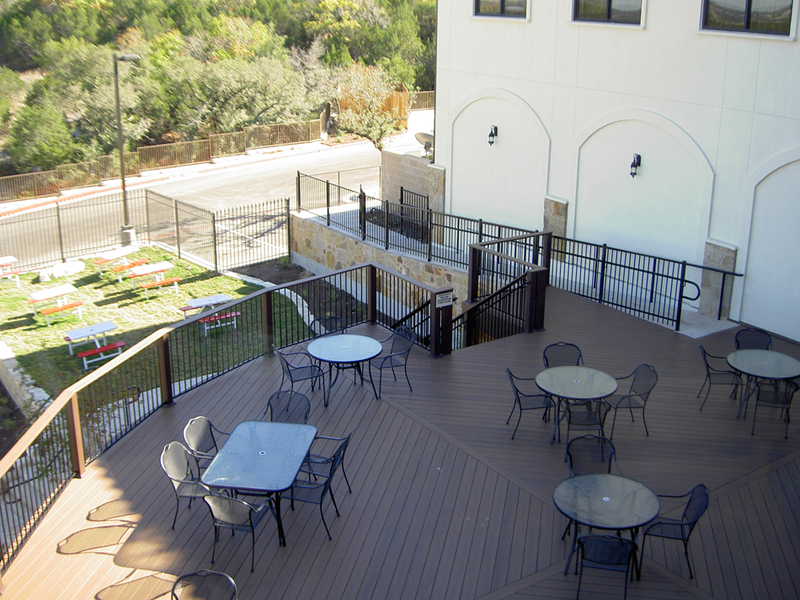 Archadeck of Austin prides itself in being “all about design and customer experience”. Here are some of the ‘Best of Show’. Austin won second place for this project outside the Craig O’s restaurant in Lakeway, TX. This deck uses TimberTech Earthwoods Evolutions composite decking in walnut designed in quadrants of diagonal board placement converging to the center. The deck is designed for 100 lb/sf commercial loads and has a massive concrete footing hidden behind an attractive cedar skirt. 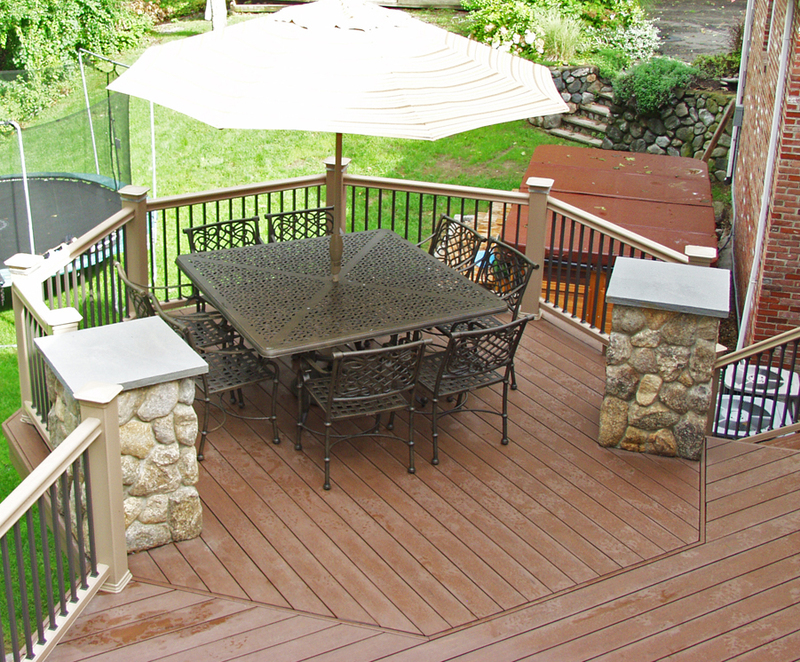 A powder coated Fortress railing system surrounds the deck and is capped in the same composite. Stairs descend down to the parking lot and play area. 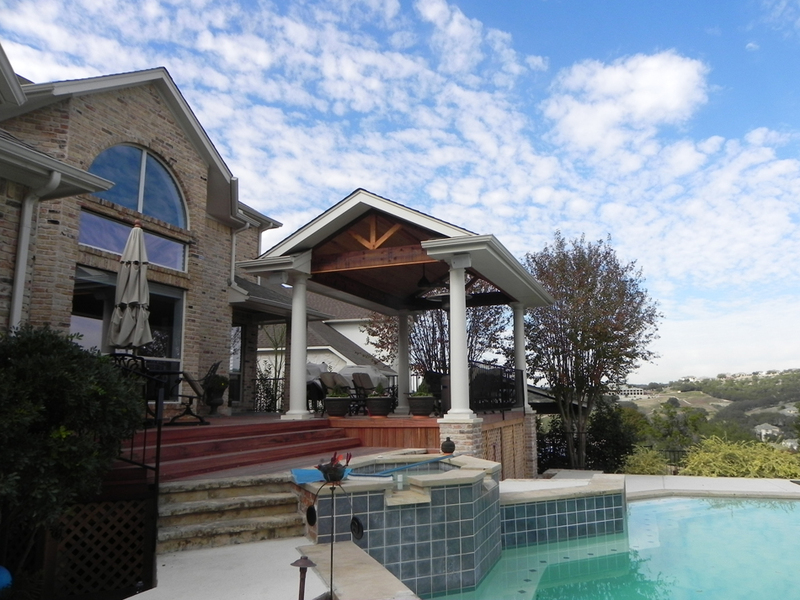 Patrons will enjoy many meals overlooking the serene hills East of Lakeway atop this deck. 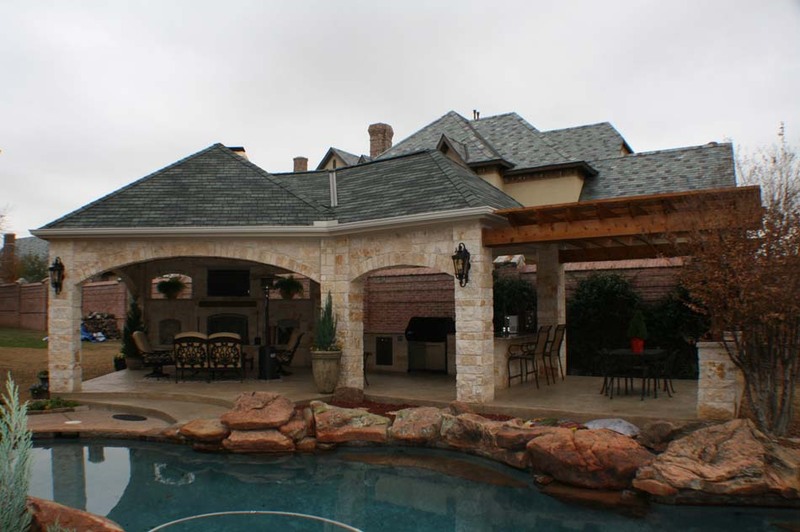 Our friends at Archadeck of Ft. Worth placed 1st for this pool-side cabana. First place went to our friends at Archadeck of Ft. Worth for a fabulous pool-side cabana. The Austin entry took third place, under some tight competition, with our pool-side cabana constructed in Round Rock, TX. Both of these projects are indicative of a growing trend to move the living room outside complete with integrated kitchens, outdoor fireplaces, television; everything you need to entertain outdoors. Demonstrating the diversity of Archadeck’s designs, the Austin hardscape project took the 3rd place award vs. a really unique and innovative project outside Denver that took home 1st place. The Austin hardscape project is located in the Steiner Ranch community of Austin and includes a covered tile patio up top for visiting, lunch or even coffee. The project includes stone steps that lead down to a stained concrete lower patio perfect for every facet of entertaining. The project also includes integrated lighting so it looks spectacular day and night. Our combination outdoor structure in Riverplace stole the spotlight. This new award category reflects the fact that great projects are rarely one-dimensional. Every year the very best projects combine multiple elements into a cohesive design that may include a shade structure, decking. 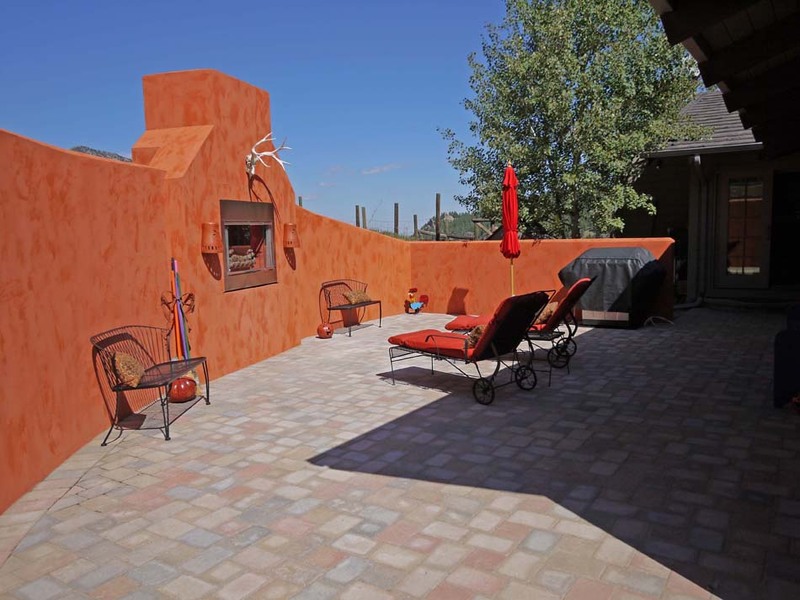 masonry, and other elements to provide the homeowners with a complete backyard with multiple uses and gain the maximum added value to their home. We are excited that our project constructed in Riverplace took the spotlight for #1. The project was designed by our own Mark Mommsen, whom was also the winner of #1 design representative. The project brings together a very unique stand-alone roof structure with Permacast columns which are mounted on an elevated Tigerwood deck beside the pool and outdoor fireplace with stone benches on the opposite side of the pool. All this is designed to face the canyon/green belt and golf course located behind the residence. 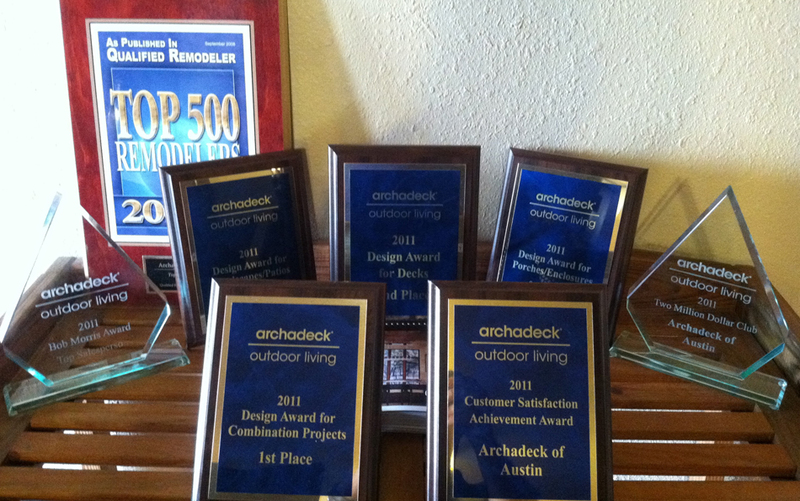 Archadeck of Austin receives the Customer Satisfaction Award, among others. If the customer isn’t happy, nobody’s happy! 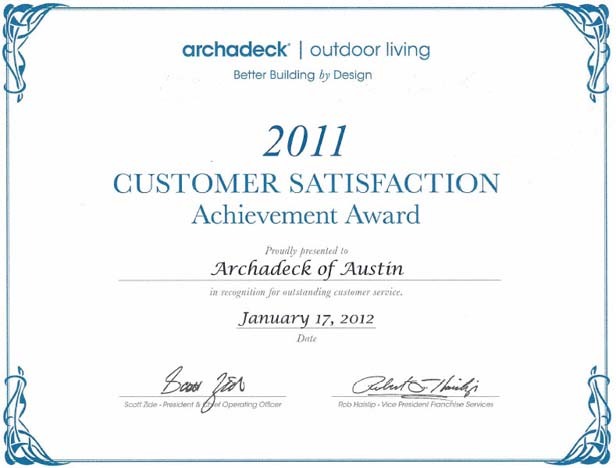 As the owner of Archadeck of Austin, I’m very pleased to say we won the coveted Customer Satisfaction Award. To win this award there can be no, and I mean ‘zero’ negative responses in post-construction surveys. Last year we built 133 residential projects. We are not perfect and are always improving, but to have absolutely no negative responses is a testament to our desire for excellence in customer service. We were also recently added to the Angie’s List Honor Roll and we strongly encourage people to submit reviews to Angie’s list. We are looking forward to a great 2012 season, with more great work in Austin,TX. 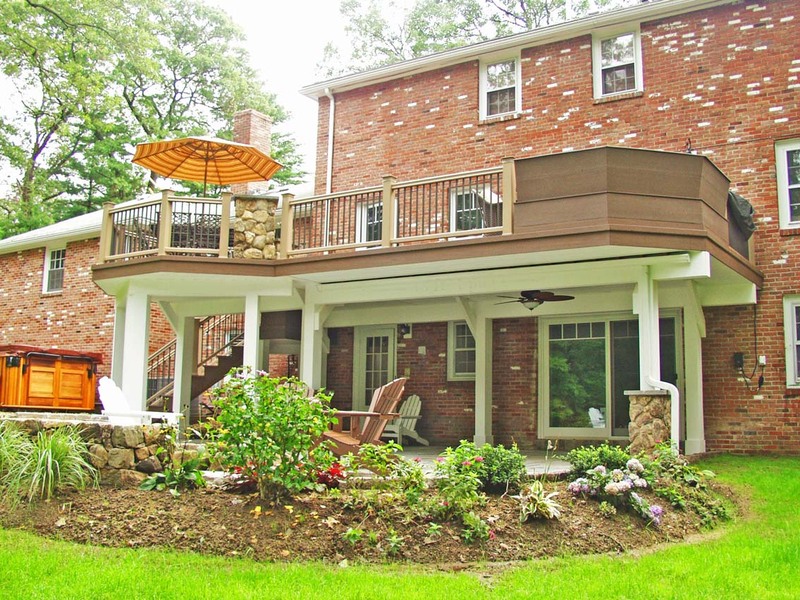 If you’re on the fence, the time is really good to remodel your outdoor space the way you’ve always wanted. It is a great investment.